Located in the heart of West Michigan our Grand Rapids design center, offers a well-appointed showroom featuring the latest and greatest of Skyline's best new products. With a full complement of show services, 35 years of market leadership, and the most innovative custom modular exhibit portfolio, Skyline is easily the most recognized name in the business. Let's not forget that Skyline has earned the highest loyalty ranking of any like competitor in the industry. Not convinced? 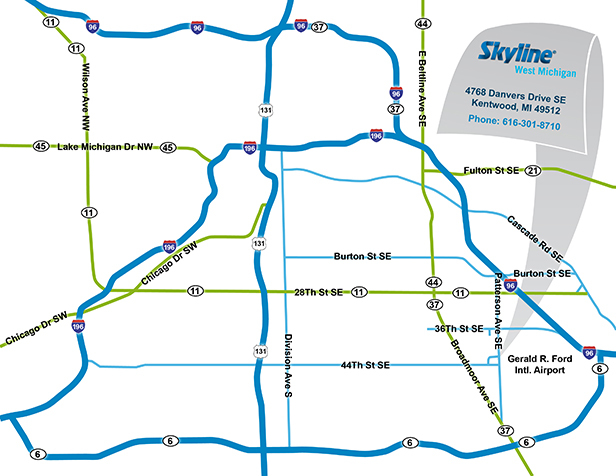 Be sure to contact Skyline Exhibits West Michigan directly. Our local team is extremely knowledgeable and responsive. We can arrange a showroom tour and a meeting to discuss your latest trade show challenges or help design a new awe-inspiring display. 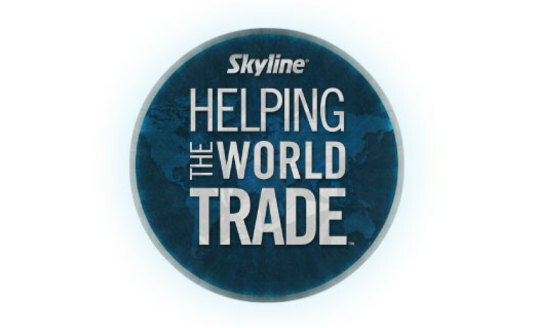 We are supported by Skyline Exhibits, Inc. and Skyline's extensive global network of 130 design centers in 30+ countries. Skyline Exhibits West Michigan is a proud member of the Michigan Minority Supplier Development Council, the American Marketing Association and the American Advertising Federation. These organizations provide tools, knowledge, and understanding to create a better local business environment to serve you, our collective customers. As a full service center, we provide sales, technical, and design support to our clients. We focus on providing unparalleled designs to maximize return on investment for our clients and fulfill their business objectives. We aim to create an environment with a look, mood, and tone that perfectly delivers the brand presence you seek. No matter the size of your exhibit or the size of your budget, our team of consultants and designers can create an aesthetically impactful and elegantly functional design to fit your needs. As owner and President Loy does it all. Despite the multitude of day-to-day operations of running this business, he stays highly involved with the sales, design, and services teams, along with several long-time clients. 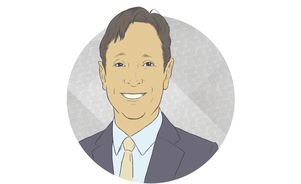 Loy has a 20-year background in the medical industry as a former medical business Unit Leader for Oliver Products Company. In 2004, Loy and Marcia started Skyline Exhibits West Michigan and have since cultivated an impressive list of well-known clients including Herman Miller, Amway, Perrigo, Meijer, and many others. However, Loy is most proud of the very talented team they’ve assembled and the very creative, positive, and fun environment he gets to work in each day. Marcia is an owner and managing partner. Most of her time is spent on office management operations. 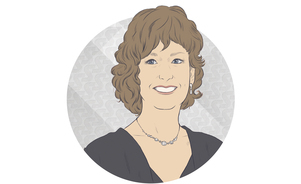 Marcia handles all of the company finances, accounting, HR, and in her spare time, helps coordinate trade show services for several long-time clients. Marcia is the yin to Loy’s yang. She often coaches or lends a hand in dealing with our clients and team-members most challenging issues of the day. As a stress reliever, Marcia enjoys biking (big miles at a time!) and hiking with her husband Loy and Skyline’s favorite Soft-coated Wheaton Terrier, Carlos. Mari is our resident trade show enthusiast! She loves all things Skyline. From the discovery and design process to the post-show follow up, Mari loves the whole experience. 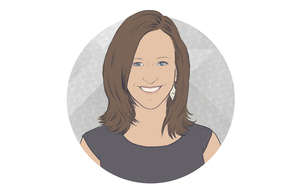 In 2009, with her Master’s in Business Administration and five years of previous experiential marketing experience at Herman Miller, Mari joined the Skyline Exhibits West Michigan team. As an Exhibiting Consultant Mari was awarded Skyline’s Sales Excellence Award from 2010-2016. In 2017 Mari transitioned to her current role where she leads our project management and exhibiting consulting team. When Mari isn’t planning trade shows and developing displays she spends her time on her blueberry farm with her husband Paulie. Carlos is quite possibly our most enthusiastic member of the team. 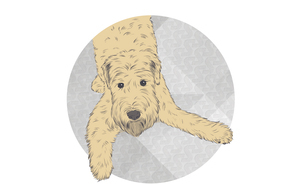 Being a Wheaton Terrier, he is inherently prone to action. His love of play is boundless and he engenders the same from fellow Skyline members. Carlos came to Skyline West Michigan in 2010 and has since warmed the hearts of many clients. He continues to regularly bolster the moods of his fellow associates. Carlos is fond of playing hide the ball, napping and chewing on Nylabones. Woof. Dan came to Skyline with a strong background in management. After attending school at Cedarville University he took part in management trainee programs, which honed his asset management and customer service skills. Prior to taking on the role of Director of Operations, Dan worked as an account manager and received the Skyline Sales Excellence Award – Market 6. Needless to say, Dan excels at every challenge he faces. As Director of Operations Dan is the caretaker of every piece and part of every exhibit that enters and leaves our building. His superior skills in asset management, project management and customer service create continuous improvement opportunities to help enrich our client services and exhibiting experiences. We have yet to find a design challenge that stumps Nathan. 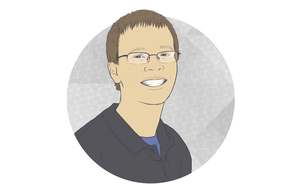 Nathan is our Exhibit Designer who utilizes digital magic to make branding and intangible design needs come to life. He graduated from Kendall College with degree in Industrial Design. He has a talent for evolving clients’ brands into a memorable message for those on the show floor. With innovative thinking and perspective, Nathan becomes an extension of our clients’ design team, delivering professional and engaging trade show exhibits. 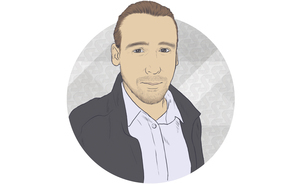 Nathan has created many unique and impactful designs for our clients. 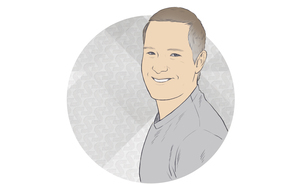 He employs cutting edge design rendering and CAD software to create his designs and has a passion for producing animated video projects. Taylor comes to us with a background in hospitality management and is a Grand Valley State graduate with Bachelor’s in Advertising and Public Relations. 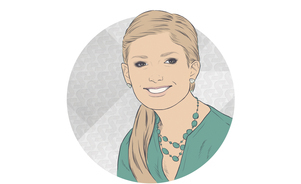 As Project Manager, Taylor is engaged with client communications and trade show services coordination. 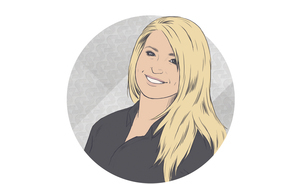 She is a trade show enthusiast, and is actively involved in project coordination and passionate about experiential marketing and the trade show industry. Gracie joined the team as an exhibiting consultant in June of 2015. Gracie earned her BBA in Marketing and Management from Grand Valley State University and comes to Skyline with a background in purchasing, expediting, and quality control. In May 2016, she completed her MBA with an emphasis in healthcare management from West Texas A&M University. With great attention to detail, and a contagious sense of humor, Gracie strives for the ultimate client experience, from start to finish. A perpetual student, Gracie enjoys expanding her knowledge of the trade show industry, traveling, spending time with family and friends, and doting over her Cocker Spaniel, Lucy. Branden joined the Skyline team in 2015. He is a graduate of Grand Valley State University, with a Bachelors of Anthropology. He also has background in construction, assembly, and I&D work. Here at Skyline Exhibits West Michigan, Branden helps to take care of our clients assets as they leave and return to the building, and is an I&D technician. He also does pre-show exhibit mockups as required, as well as helping out wherever else is needed. Jerry started with us in March of 2017 as an exhibiting consultant. He is a Calvin College graduate with degrees in Economics and German Language & Culture. Jerry comes to Skyline with a background in customer relations, communications, and marketing. Some of Jerry’s favorite aspects of being an exhibiting consultant are collaborating on exhibit designs and creating a memorable client experience throughout the entire process. He enjoys learning about new trends in the trade show industry and how best to maximize his clients’ trade show experience. If you are in need of an updated display or interested in our services we are more than happy to help!